Northrise University Commissions the Bus! 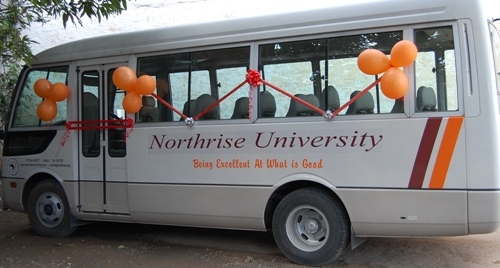 God has seen Northrise University (NU) through the past nine years and now He has made it possible for the institution to have its own bus through kind contributions of friends and partners of the university. Students and staff members yesterday (November 7th, 2012) gathered for a colorful occasion; the commissioning of the NU bus! We are excited, staff and students alike, that transport struggles are now a thing of the past. To God be the Glory!